Jill Of All Trades: Buying the right shoes for my Zumba classes! Buying the right shoes for my Zumba classes! I have never been a “High Heels” person ever. I find them extremely painful and straining my back, and whenever I have attempted to wear them I’ve just been tripping over or walking 10x slower as a precaution. I have never felt the need or desire to wear stilettos or pencil heels, occasional wedges or low heels during parties or weddings are totally fine. If you’ve followed my stories on the blog or social media, you must have seen how determined I have been recently to get fit – and joined Zumba too. It’s been almost 2 months and I’m loving it! I thought, now that I know I’m serious about my fitness, its time I invest new gear, as my old sports shoes are all wearing out and loosing grip. I have mostly worn Puma shoes, but was looking at online shopping sites for other options, I thought it’d be nice to try some other renowned fitness brand. There is such a wide variety not only of brands but also types of sports shoes – casual, sneakers, walking shoes, running shoes, special shoes for sports like tennis or football and so on. 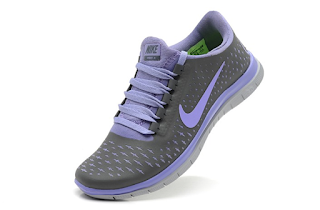 I was looking for walking/running shoes but with a good grip and light weight. 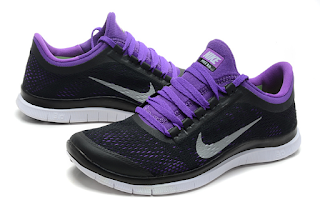 Casual sport shoes or sneakers are usually heavy and don’t have a good grip and comfort for working out frequently. White sneakers and sports shoes are so in fashion nowadays; I wish listed a couple of them but soon took a practical decision to go for a darker colour as white would get spoilt easily in commute. At the same time, I didn’t want to go for a girly colour so Pink was definitely ruled out too. I was pleasantly surprised and happy to find a range of colours and decided to select a Nike shoe. One issue I usually have when buying shoes online is availability in my size – because I am a size 6, which is very common in Indian women. So I always need to shop on sites where I can get a good variety in my shoe size and I was happy that Myntra had some 50 odd Nike sports shoes available in my size! Da Da Ding! 1. 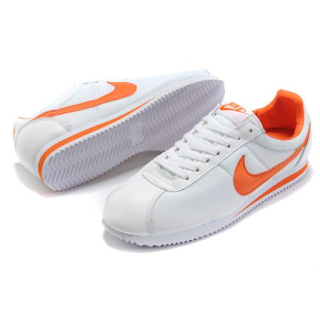 If you want to go for white sport shoes, this one is awesome! The detailing and the contrasting orange design makes the shoe look eye catchy. 2. A feminine running shoe, though not Pinky. Grey and purple is a combination I never thought of. This is the one I am ordering. 3. If you love black, this one with a hint of purple is cool too. It’s got a nice mesh effect. All the shoes have a good discount and I simply cannot wait for my shoes to arrive and flaunt them in my Zumba class. There is always the hesitation of the shoes being original, because there are so many first copies and duplicates available in the market, but I trust Myntra and even if the shoes do not match my expectations of quality or do not fit me , I can always return them easily. In this short article I will give you 12 tips on how to keep your shoes looking great and how to make them a little more comfortable to wear. 1. If you own a pair of leather shoes and you want to make them water proof all you have to do is coat them with boiled linseed oil.I find this website for White Walking Shoes you can visit this site. Your blog always provide useful content .Thank you.. .
Komplete Kare For Your Skin and Hair!